Without good eyesight it becomes difficult to take part in most everyday activities, such as reading, driving, and watching T.V. Poor vision may also indicate the presence of potentially serious eye diseases like glaucoma and macular degeneration, or general health problems such as diabetes. 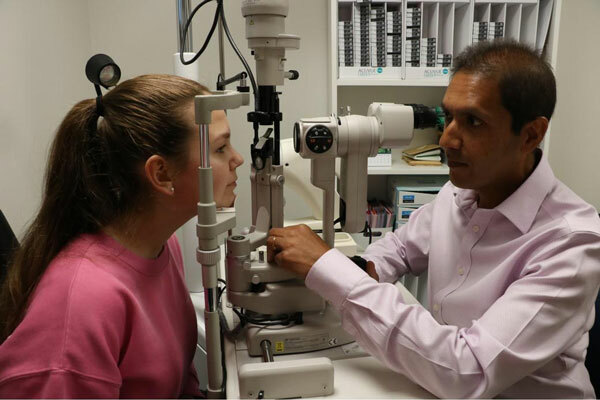 If you haven’t had an eye test within the last two years, we would recommend that you call our Hillingdon, West London opticians practice for an appointment. We will conduct a thorough examination and answer any questions you might have about your vision, diabetes and high blood pressure. Many people are now entitled to free sight tests under the NHS, and they may also qualify for help with the cost of their glasses. Our practice offers both NHS and private eye examinations. For an additional fee, the practice can carry out extended eye examinations, using state-of-the-art equipment, to help diagnose conditions such as glaucoma, cataracts, macular degeneration, dry eye syndrome and keratoconus. The results – which are stored on a computer, help to monitor some of these conditions over time. They also help in referring cases that need to be dealt with urgently. History and symptoms– first we will discuss any problems that you might have with your eyesight and general health. We also discuss your work and leisure activities to assess your visual needs. Eye-wear Assessment– if you already wear glasses or contact lenses, we will check them to see if they are still suitable for your vision. Refraction– this part of the eye examination finds out whether you need optical lenses to correct your eyesight. The optician will test your distance vision (for driving or watching TV), your near vision (for reading), and your intermediate vision (for hobbies or computer work). Oculomotor Balance– the coordination of your eye muscles will be checked, as well as the comfort level of your vision at all distances. Pupil Reflexes– an unusual pupil reflex may indicate neurological problems, so the optician will check that your pupils are reacting normally to light. Eye pressures– too much pressure inside your eyes can indicate that you have glaucoma, a disease which eventually leads to blindness if left untreated. Visual field test– losing your field of vision is one of the main signs of glaucoma, so where appropriate we will check your all-round vision and your peripheral vision. Ophthalmoscopy– this is very important because it evaluates the health of your eyes. Conditions such as diabetes, cataracts, hypertension, and macular degeneration can be detected and monitored through this. OCT– An Ocular Coherence Tomograph (OCT) is like an X-Ray scan of the back of your eyes. It is painless, and in a very short time can help the optician to assess your eyes in much greater detail, and to look for complications due to diabetes, glaucoma, and macular degeneration. Finally, we will give you an explanation of your vision and eye health, plus a copy of your optical prescription.